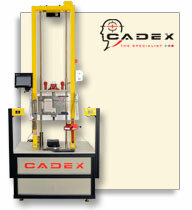 This machine is used to test the protective reinforcement(toe cap) of shoes, trainer, boots and clogs. 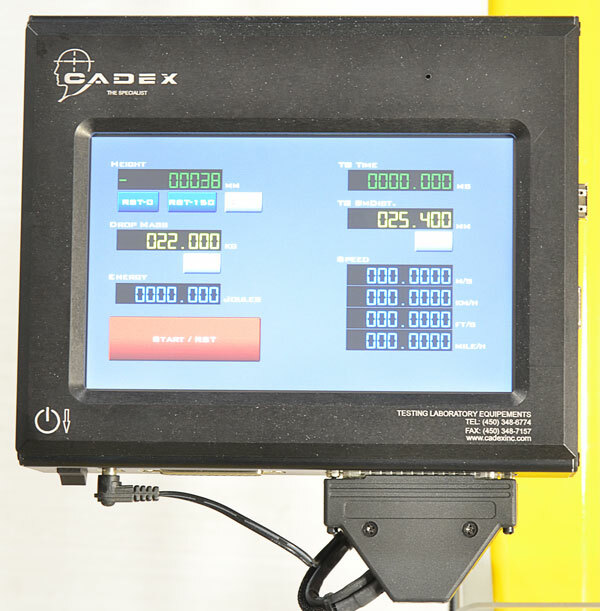 The control panel will display the velocity at which the impact took place. 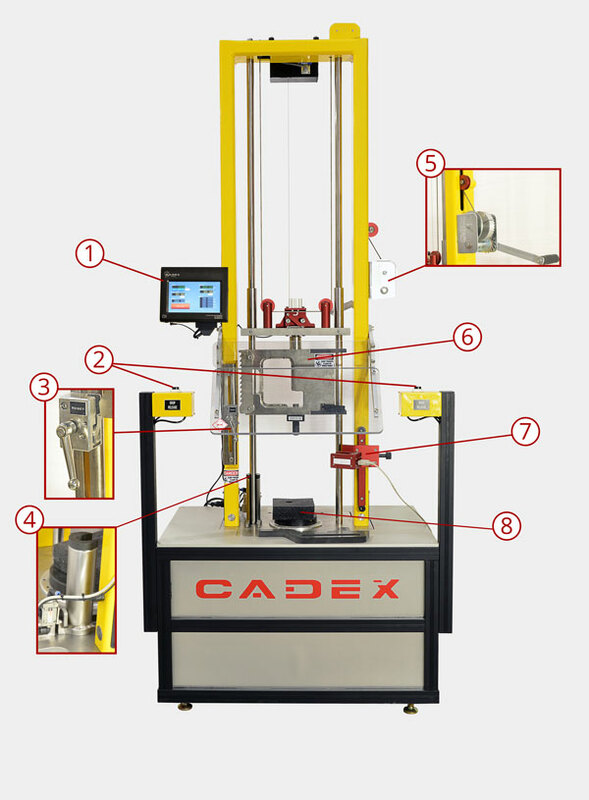 The drop release button releases the impactor setting the test in motion. The locking mechanism prevents a second impact after the initial test. 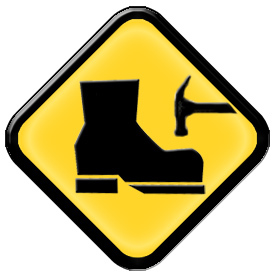 The safety stopper prevents the impactor from striking the platform directly. This lever is used to raise and lower the impactor. Impact weight system was designed to meet industry standards and comes with interchangeable weight plates. The Velocimeter (Time Gate) is a very precise electronic device that calculates the time it takes for an object to pass in front of an infrared beam a few millimeters before impact. The time in milliseconds and the length of the object are then used to determine the velocity. The impact platform has a clamping mechanism that can be raised to the needed height to secure the shoe firmly in place between it and the platform.